[p]n this appeal, we are asked to determine whether the People proffered a sufficient foundation at trial to authenticate a photograph—purportedly of defendant holding a firearm and money—that was obtained from an internet profile page allegedly belonging to defendant. We conclude that the People's proof fell short of establishing the requisite authentication to render the photograph admissible in evidence. 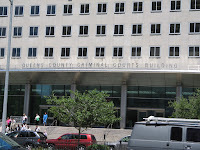 Defendant was convicted by a jury of two counts of robbery (Penal Law §§ 160.15; 160.10 ). At the trial, a witness testified that he was conducting milk deliveries with the victim when he noticed—from his vantage point inside the delivery truck—that someone was holding a gun about a foot away from the chest of the victim, who was standing outside the truck. After exchanging words with the gunman, the victim threw a handful of cash from his pocket to the ground. The gunman's accomplice gathered the money and the two robbers fled. The witness never saw the gunman's face and was unable to identify defendant at trial as either of the perpetrators. Following this testimony, the People informed the court that they intended to introduce a photograph that was`found on the internet,’ which purportedly depicted defendant holding a handgun.1 According to the People, the victim would identify the gun in the photograph as the weapon used during the robbery, and a detective would identify defendant as the individual holding the gun in the picture. 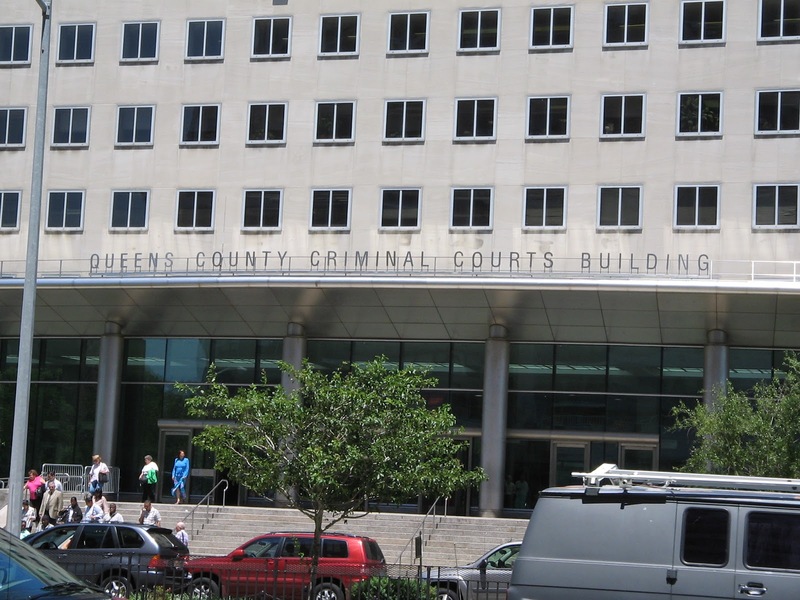 Defendant objected to the admission of the photograph in evidence, arguing that the People had not proffered a sufficient foundation establishing the authenticity of the photograph as a fair and accurate representation of defendant holding a gun and that the photograph had not been altered. In response, the People contended that the necessary foundation would be established through proof that the photograph was obtained from a publicly available web page that bore an internet profile associated with defendant's surname and photographs of him. Over defendant's renewed objection to the sufficiency of the proffered authentication, the court ruled that the photograph would be admissible in connection with the proposed testimony. [t]hereafter, the victim testified to the circumstances of the robbery, and he identified defendant as the gunman. The victim described the firearm used in the robbery as a 9–millimeter automatic with a silver rectangular feature on the top of the barrel, but he admitted that he had no prior familiarity with firearms. When shown the portion of the photograph obtained from the website depicting the gun, the victim testified that the gun looked “similar” to the gun used in the robbery, but he could not identify the gun in the photograph as the one held by the robber. A police detective subsequently testified that she found the photograph in question on the website “BlackPlanet.com.” The detective had searched defendant's surname `Price’ and, after scrolling through several pages of results containing approximately 50 internet profiles—the usernames of which incorporated the term `Price’—the detective s`w a public profile that contained several photographs of defendant and had the user name “Price_ OneofKind.’ There was no reference to defendant's full name on the profile page and, while the detective testified that the profile page listed the purported user's age and hometown, she did not testify as to whether any of this information matched defendant's pedigree information. Nor were any of the pages containing this pedigree information introduced to connect defendant to the specific user of this website. photograph at issue was posted to the internet profile page several months before the robbery. The detective testified that the individual in the photograph holding the handgun “look[ed] like” defendant. She explained that she had printed the photograph from the internet website, and she asserted that the printout was a true and accurate depiction of the photograph she observed on the website. However, the detective admitted that she did not know who took the photograph, when it was taken, where it was taken, or under what circumstances it was taken. Nor did she know whether the photograph had been altered or was a genuine depiction of that which it appeared to depict. Nevertheless, after the photograph was admitted into evidence over defendant's objection, the detective identified defendant as the individual in the picture. [d]uring summations, the People urged the jury to conclude that the photograph was taken from an internet profile page belonging to defendant, and they emphasized that the victim `recognized’ the gun depicted in the photograph as the one held by the gunman. Following deliberations, the jury found defendant guilty of both counts of robbery. Upon defendant's appeal, the Appellate Division affirmed the judgment of conviction, holding that “the People laid a proper foundation for admission of the photograph, it was relevant to the issue of the defendant's identity as the gunman, and its probative value outweighed any prejudicial effect” (127 A.D.3d 995, 996, 4 N.Y.S.3d 924 [2d Dept 2015] ). A Judge of this Court granted defendant leave to appeal (25 N.Y.3d 1206 ). the trial court erred by admitting into evidence the photograph obtained from the internet because the People failed to sufficiently authenticate it. Defendant contends that the People's authentication proffer was lacking because the victim could not identify the firearm in the image and because the People presented no evidence that the photograph was genuine and had not been altered. The People argue in response that the photograph was sufficiently authenticated by the detective's testimony that the printout was a fair and accurate representation of the image shown on the internet profile page, combined with the indicia suggesting that the profile belonged to defendant. `[i]n order for a piece of evidence to be of probative value, there must be proof that it is what its proponent says it is. The requirement of authentication is thus a condition precedent to admitting evidence” (United States v. Sliker,751 F.2d 477, 497 [2d Cir1984]; see 1–4 New York Evidentiary Foundations § A  ). 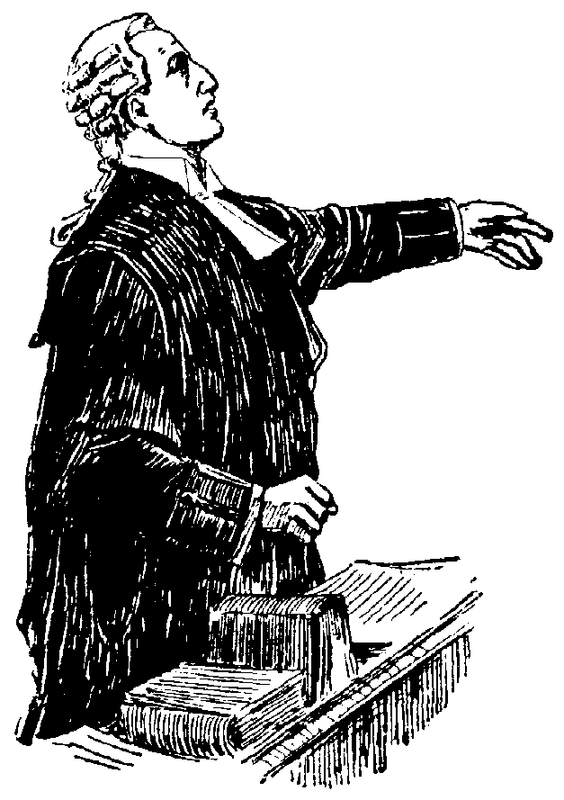 `Accuracy or authenticity is established by proof that the offered evidence is genuine and that there has been no tampering with it’ (People v. McGee, 49 N.Y.2d 48, 59  ). We have explained that `[t]he foundation necessary to establish [authenticity] may differ according to the nature of the evidence sought to be admitted’ (id.). For example, mere identification by one familiar with an item of evidence may suffice where the item is distinct or unique (see People v. Julian, 41 N.Y.2d 340, 343 . see e.g. People v. Flanigan,174 N.Y. 356, 368  ). Where a party seeks to admit tape recordings, authenticity may often be established by testimony from a participant in the conversation attesting to the fact that the recording is a fair and accurate reproduction of the conversation (see People v. Ely,68 N.Y.2d 520, 527 ; People v. Arena, 48 N.Y.2d 944, 945 ). In addition, testimony establishing a chain of custody may suffice to demonstrate authenticity in other circumstances (see e.g. Julian, 41 N.Y.2d at 343, 392 N.Y.S.2d 610, 360 N.E.2d 1310; Amaro v. City of New York, 40 N.Y.2d 30, 35 ; People v. Connelly, 35 N.Y.2d 171, 174 ; see also People v. Patterson, 93 N.Y.2d 80, 84 ; Ely, 68 N.Y.2d at 528, 510 N.Y.S.2d 532, 503 N.E.2d 88). Ultimately, `the availability of these recognized means of authentication should ordinarily allow for and promote the general, fair and proper use of new technologies, which can be pertinent truth-yielding forms of evidence’ (Patterson, 93 N.Y.2d at 84, 688 N.Y.S.2d 101, 710 N.E.2d 665). [w]ith respect to photographs, we have long held that the proper foundation should be established through testimony that the photograph `accurately represent[s] the subject matter depicted' (People v. Byrnes, 33 N.Y.2d 343, 347 ; see Patterson, 93 N.Y.2D AT 84; New York Evidentiary Foundations § I ; Prince, Richardson on Evidence § 4–212 ; Fisch on New York Evidence § 142, at 82–83 [2d ed 1977] ). “Rarely is it required that the identity and accuracy of a photograph be proved by the photographer. Rather, since the ultimate object of the authentication requirement is to insure the accuracy of the photograph sought to be admitted into evidence, any person having the requisite knowledge of the facts may verify,’ or an expert may testify that the photograph has not been altered (Byrnes, 33 N.Y.2d at 347, 352 N.Y.S.2d 913, 308 N.E.2d 435; see Patterson, 93 N.Y.2d at 84, 688 N.Y.S.2d 101, 710 N.E.2d 665). The People failed to authenticate the photograph through any of these methods at trial, as the victim was unable to identify the weapon as that which was used in the robbery,and no other witnesses testified that the photograph was a fair and accurate representation of the scene depicted (see People v. Marra, 21 N.Y.3d 979, 981 , affg 96 A.D.3d 1623, 1625–1626, 946 N.Y.S.2d 783 [4th Dept 2012]; Byrnes, 33 N.Y.2d at 347, 352 N.Y.S.2d 913, 308 N.E.2d 435; Alberti v. New York, Lake Erie & W. R.R. Co., 118 N.Y. 77, 88 ; see also Zegarelli v. Hughes, 3 N.Y.3d 64, 69  ) or that it was unaltered. Indeed, the People do not claim, on appeal, to have satisfied the traditional authentication requirements. [r]ather, the People argue that authentication of the photograph by a witness with personal knowledge of the scene depicted or through expert testimony is unnecessary in cases such as this, where the photograph at issue is obtained from an internet profile page that the People claim is controlled by defendant. To that end, the People point out that courts of several other jurisdictions have adopted a two-pronged analysis for authenticating evidence obtained from internet profiles or social media accounts. This approach allows for admission of the proffered evidence upon proof that the printout of the web page is an accurate depiction thereof, and that the website is attributable to and controlled by a certain person, often the defendant (see e.g. State v. Jones, 318 P.3d 1020, *5–*6 [Kan Ct App 2014]; Smoot v. State, 316 Ga.App. 102, 109–111, 729 S.E.2d 416, 425–426 [Ga Ct App 2012]; United States v. Bansal, 663 F.3d 634, 667 [3d Cir2011]; Tienda v. State, 358 S.W.3d 633, 642 [Tex Crim App 2012] . The courts that have adopted this approach have generally held that circumstantial evidence, such as identifying information and pictures, may be used to authenticate a profile page or social media account as belonging to the defendant. Relying on these out-of-state cases, the People contend that the detective's testimony identifying and describing the profile page she found on BlackPlanet.com, combined with her testimony that the printout was an accurate representation of the photograph displayed thereon, provided sufficient authentication evidence to allow admission of the photograph. We disagree. [a]ssuming without deciding that a photograph may be authenticated through the method proposed by the People, the evidence presented here of defendant's connection to the website or the particular profile was exceedingly sparse.3 For example, notably absent was any evidence regarding whether defendant was known to use an account on the website in question, whether he had ever communicated with anyone through the account, or whether the account could be traced to electronic devices owned by him. Nor did the People proffer any evidence indicating whether the account was password protected or accessible by others, whether non-account holders could post pictures to the account, or whether the website permitted defendant to remove pictures from his account if he objected to what was depicted therein. Without suggesting that all of the foregoing information would be required or sufficient in each case, or that different information might not be relevant in others, we are convinced that the authentication requirement cannot be satisfied solely by proof that defendant's surname and picture appears on the profile page. Thus, even if we were to accept that the photograph could be authenticated through proof that the website on which it was found was attributable to defendant, the People's proffered authentication evidence failed to actually demonstrate that defendant was aware of—let alone exercised dominion or control over—the profile page in question (see United States v. Vayner, 769 F.3d 125, 132–133 [2d Cir2014]; Commonwealth v. Williams, 456 Mass. 857, 869 ; compare Jones, 318 P3d at *6; Moore v. State, 295 Ga. 709, 713, 763 S.E.2d 670, 674 ). [i]n sum, the People failed to demonstrate that the photograph was a fair and accurate representation of that which it purported to depict. Nor—assuming adoption of the test urged by the People (or some variation thereof)—did the People present sufficient evidence to establish that the website belonged to, and was controlled by, defendant. Thus, although the decision of whether to admit or preclude evidence generally rests within the discretion of the trial court (see Patterson, 93 N.Y.2d at 84, 688 N.Y.S.2d 101, 710 N.E.2d 665), admission of the photograph here lacked a proper foundation and, as such, constituted error as a matter of law. Furthermore, on the facts of this case, we cannot conclude that the error was harmless (see generally People v. Crimmins, 36 N.Y.2d 230, 242 ). Order reversed and a new trial ordered.